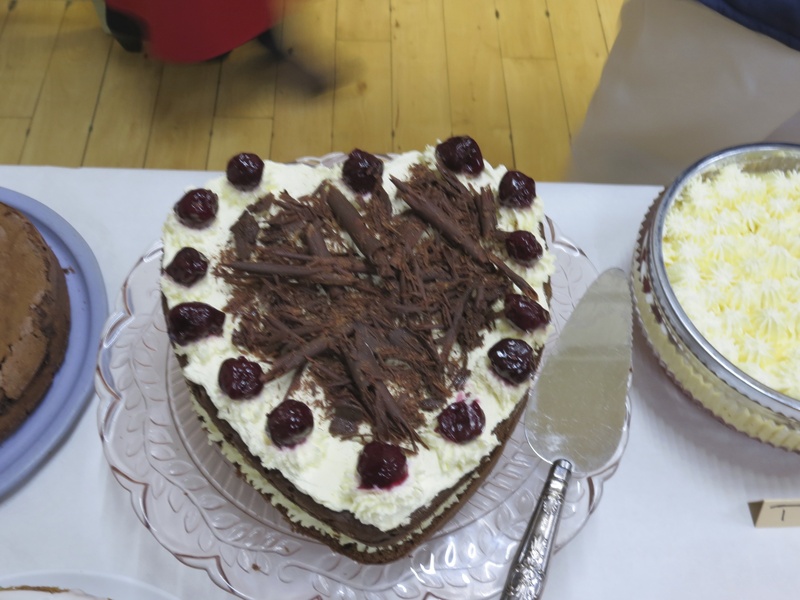 Fearnan gets its Just Desserts! 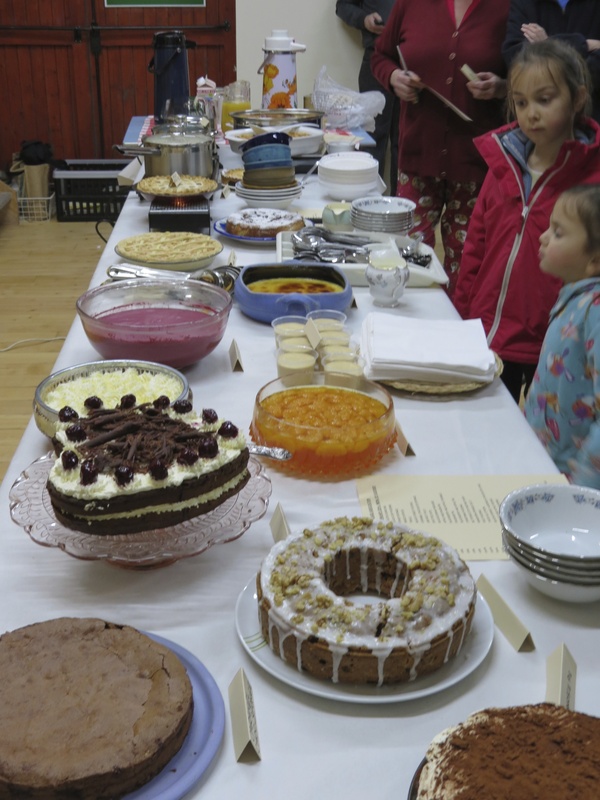 There were tarts and pies, dumplings and strudels, cakes and sponges, mousses and gateaux, hot puddings, cold puddings, ice cream and custard. 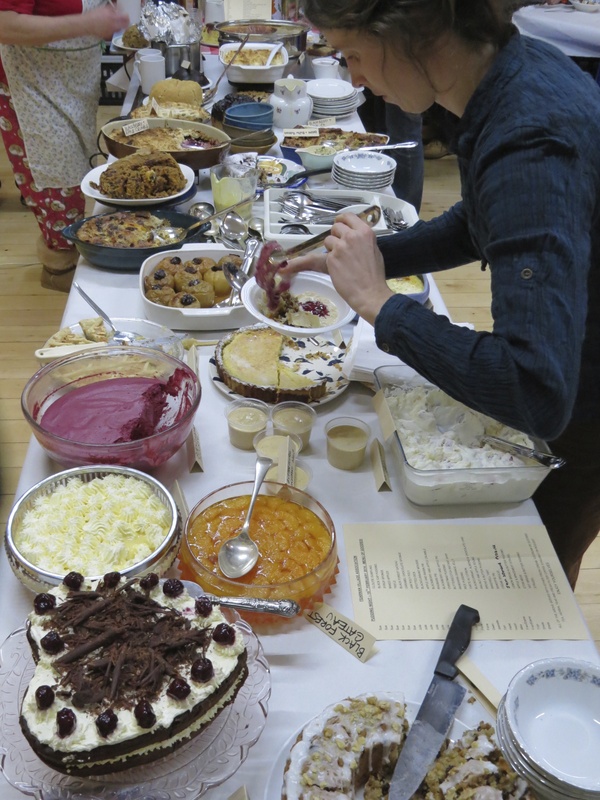 A very pleasing spread and, in all, a record-breaking 31 home-baked puddings were on offer in the village hall last Saturday night. 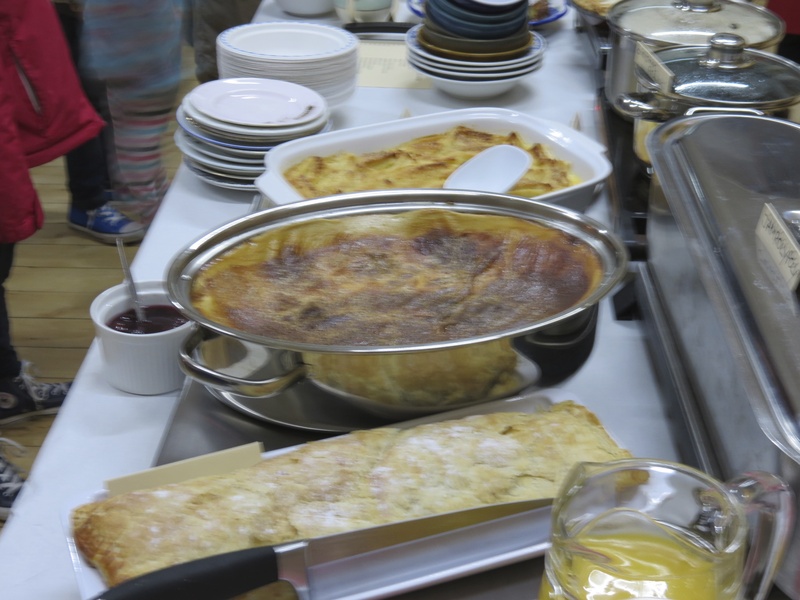 After a couple of hours, even the most stalwart of pudding eaters were beginning to flag – but not to worry, there was still enough left for some take-aways for anyone who hadn’t quite managed to sample all their favourites. And there’s always next year when we can do it all over again! 2 Responses to Fearnan gets its Just Desserts! Thanks for your comment, Alastair. We had a great evening. 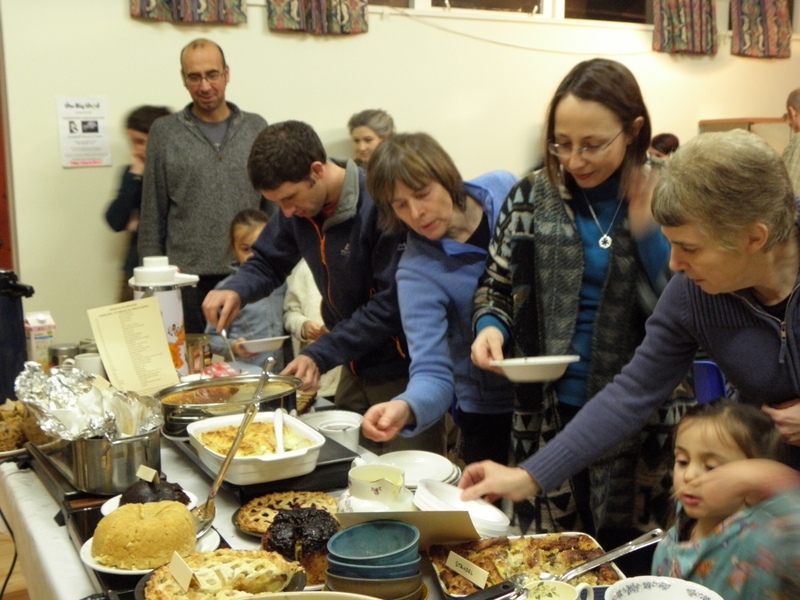 No plans for a cookbook at the moment – but you never know!